This grand church was built by Frederick Banham in 1898. 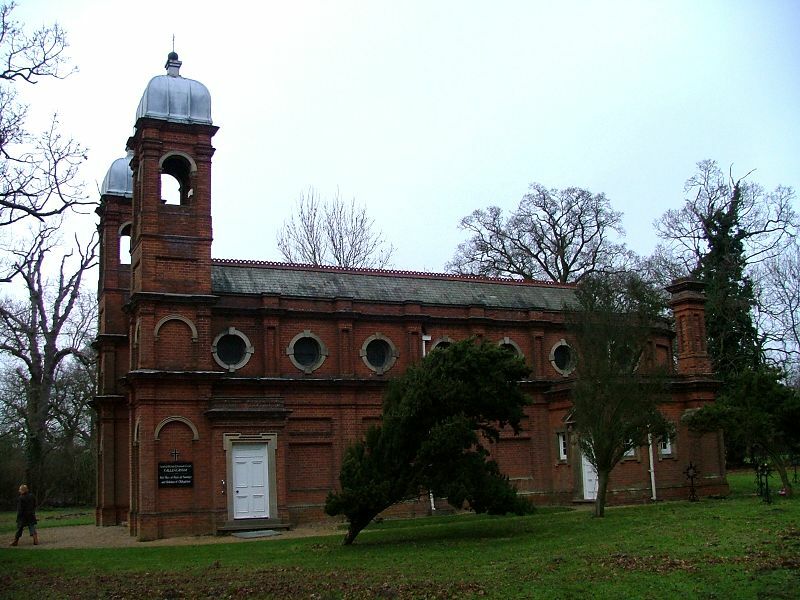 The Kenyon family of Gillingham Hall had been received into the Catholic Church; St Mary, the Anglican parish church, was on the edge of their park, so they built their new home ground right beside it. It looks lovely, especially that clerestory, which reminded me of that of a 19th century swimming pool I used to use in Sheffield. I'd have liked to see inside - but I couldn't. Gillingham has three churches, all in a line, all cut off from their town by the busy Norwich to Beccles road. Our Lady is the most southerly, but like its Anglican neighbour it is locked without a keyholder, as you would perhaps expect at 4pm on a winter afternoon - after all, what kind of person would be seeking sanctuary at that time of day and year? 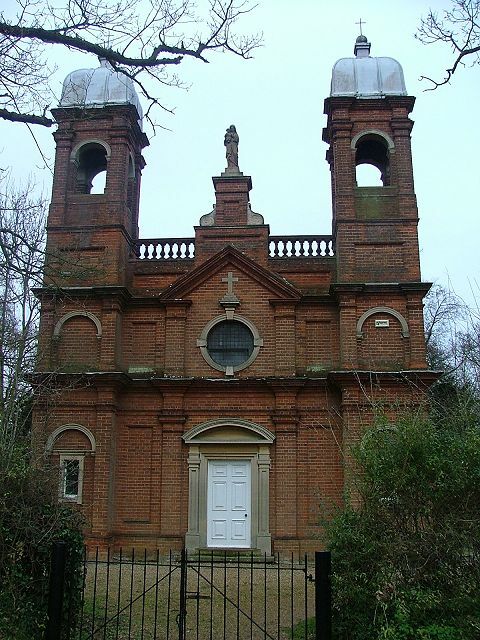 Our Lady has the excuse, perhaps, that it is not a parish church at all, but a chapel of ease to Beccles St Bene't over the Suffolk border. This was also built by Frederick Banham, after Our Lady, and in a wildly different style; it was also bankrolled by the Kenyons. If you are seeking Salvation in the Gillingham area, you need to go into Beccles instead - the 37 bus, I believe. But I need to go back to Gillingham, so I'll ring up the parish beforehand, and hope to get in..